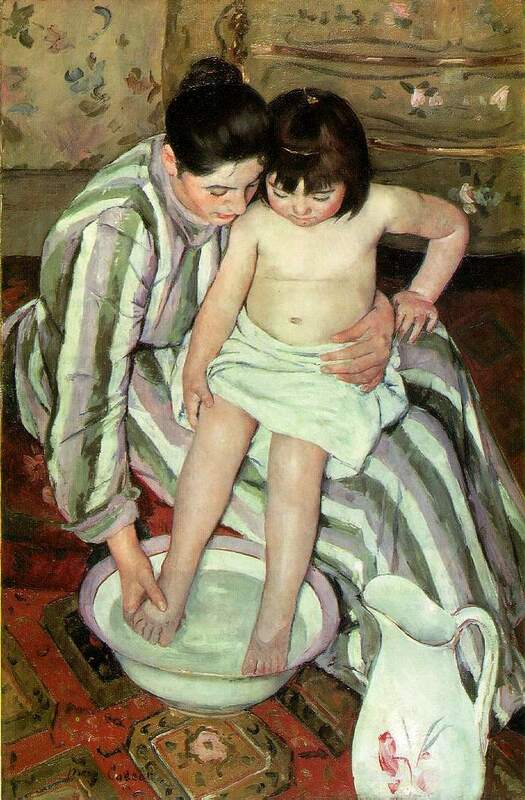 Part of this post is borrowed from an earlier post that featured Mary Cassatt (22 May 1844 – 14 June 1926). At the time I wrote my earlier post, we had not discussed the influence of Japanese art on Western artists. However, we have now opened that door by showing how Japonism had an impact on the art of Toulouse-Lautrec. 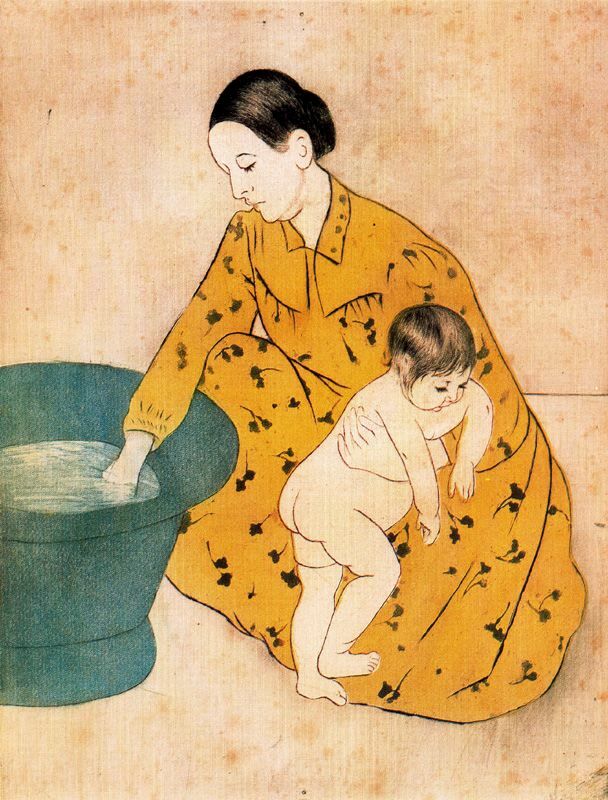 But Japonism also influenced other artists, one of whom is Mary Cassatt. Japonism left its imprint in many ways, but we will focus on two ways: subject matter and style. 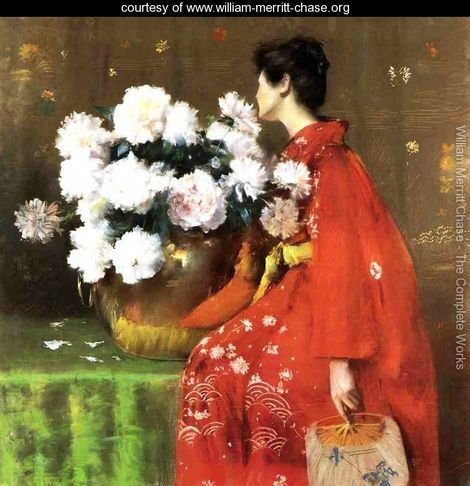 James Abbott McNeill Whistler (11 July 1834 – 17 July 1903) and William Merritt Chase (1 November 1849 – 25 October 1916) featured an oriental subject matter: kimonos, blue and white porcelain, folding screens, fans, etc. As for Henri de Toulouse-Lautrec, his “Japonisme” was, to a large extent, a matter of composition. Theretofore, artists had usually arranged their subject matter using the Greek “Golden Section.” (See Golden ratio, Wikipedia.) Without stating that beauty is an absolute, the Greeks had noticed that an artwork was considered more beautiful by a large number of people if a certain template was used. This template is the Golden Section, which looks like an off-centre crucifix and it does indeed characterize the composition of a large number of drawings, prints and paintings. Given that Henri de Toulouse-Lautrec was a trained artist, I would presume he was familiar with the Golden Section. However, in Lautrec’s works, one of the two intersecting lines of the Golden Section, is a diagonal line, which is a departure from the usual vertical line intersecting an horizontal line. That is a feature of Japonism. 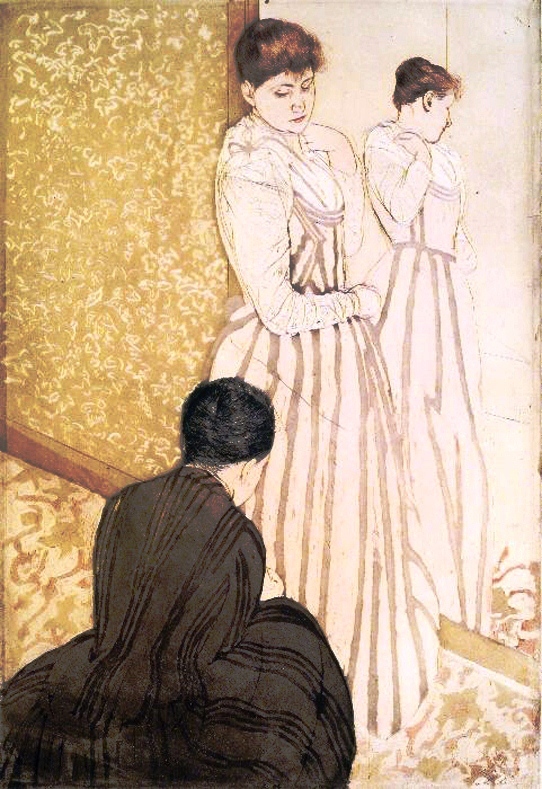 Henri de Toulouse-Lautrec‘s Japonisme was therefore expressed in his compositional technique. As for colour, it is a flat colour, which is consistent with printmaking. If one looks at the dress worn by May Belfort in Jardin de Paris, May Belfort (1883; Art Nouveau) (please click on the link to see the artwork), one notices that May’s dress is evenly red. 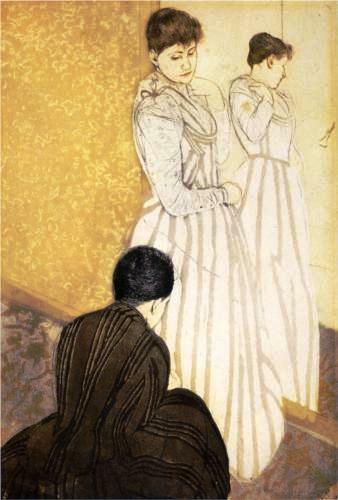 Lautrec rendered dimensionality by using lines, which is also a feature of Japonisme. His Moulin Rouge, La Goulue with her Sister (1892; Art Nouveau) is an example of linearity. There is a line on one side of La Goulue’s dress. Which takes us to Mary Cassatt. 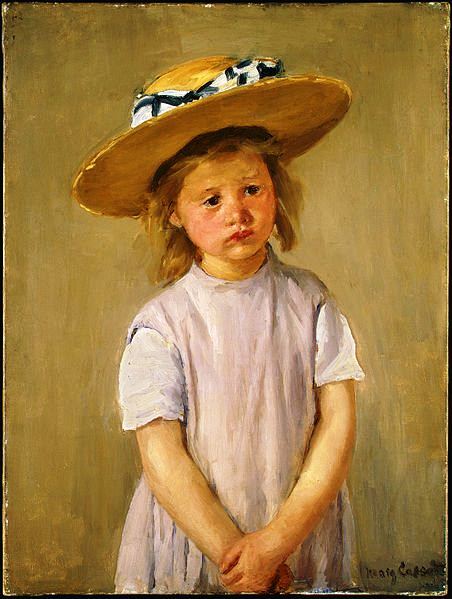 Mary Cassatt (22 May 1844 – 14 June 1926) was an American artist of French descent born to an upper-middle-class family in what was becoming Pittsburgh, Pennsylvania. She was educated in the United States and various European countries: Spain, Italy and Holland. 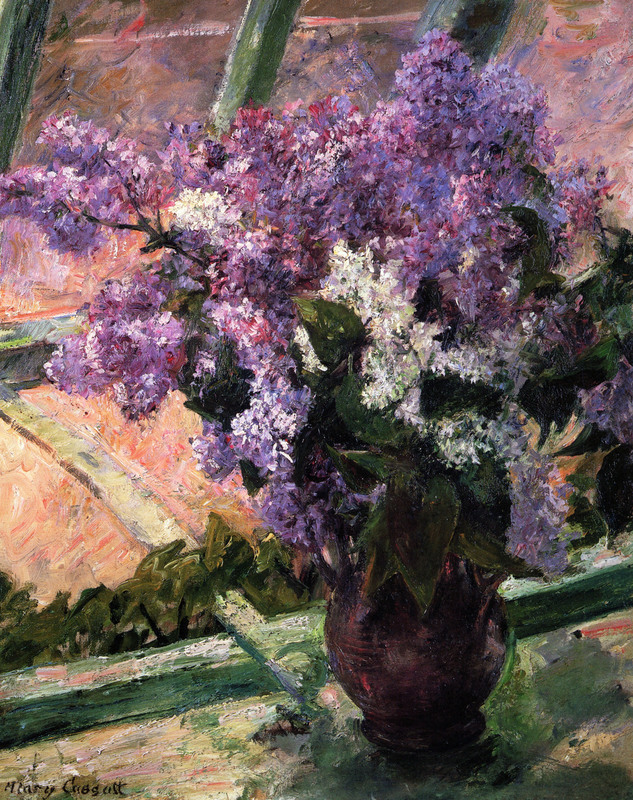 However, although she began studying the fine arts in the United States, at the Pennsylvania Academy of the Fine Arts, it would not be long before she moved to Paris and became a permanent “expat.” She did so in 1871, but returned to the United States almost immediately, the Franco-Prussian War (19 July 1870 – 10 May 1871) having erupted. Mary Cassat’s Japonisme shows affinities with that of Toulouse-Lautrec in that it is our second type of Japonism, Japonism revealed in the manner an artist creates his or her work rather than in his or her choice of subject matter. From the point of view of composition, the art of Mary Cassatt resembles that of Lautrec. We have an off-centre Golden Section and one of the intersecting lines is a diagonal line, a discreet diagonal line. Moreover, her colours are flat colours whose dimensionality is expressed mostly through the use of lines. The art of Mary Cassatt is otherwise unrelated to that of Toulouse-Lautrec. Mary Cassatt did not make posters showing the Moulin Rouge and can-can dancers. Moreover, compared with Toulouse-Lautrec, her colours are subdued. Although I have stated that Mary Cassatt’s subject matter was not Oriental, she sometimes featured a woman holding a fan. However, her main subject matter are the Madonna and Child of the Renaissance, women and genre painting, depictions of people going about their daily activities. Genre painting was introduced by artists of the Dutch Golden Age and is a characteristic of Japanese meisho “famous places” prints, but in a context so different from Western art as to be a negligible similarity. Mary visited the Paris Japanese Arts Exhibition of 1890 and so loved the works she saw that she devoted the following year to making prints. She had an admirer and close friend in Edgar Degas (19 July 1834 – 27 September 1917). He was impressed with her work and encouraged her to show it at Impressionist exhibits, which she did eventually. 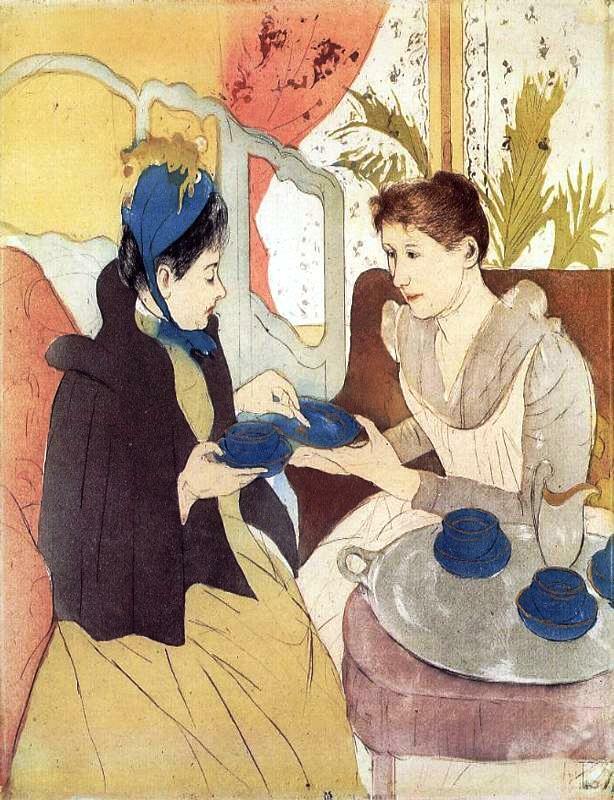 Degas, whose pastels she loved, taught her how to make etchings. To this day, artists often learn to make prints as several copies of their art are produced which makes their artwork more affordable. But, in the case of Mary Cassatt’s work, learning to make etchings benefitted her Japonism probably more than it benefitted her clients. She could and did produce prints that may well be our best example of Japonisme. 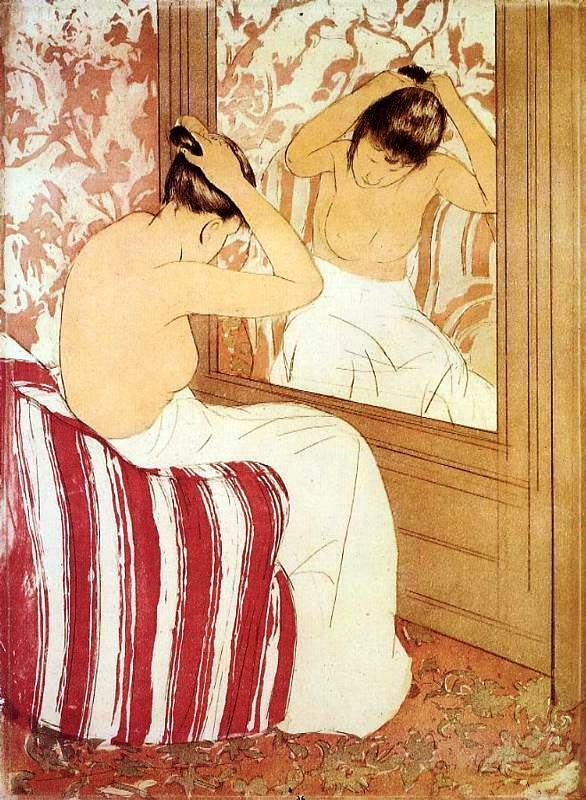 According to Germaine Greer, “[t]he exhibition of Japanese art at the Palais des Beaux-Arts had revealed [to Mary Cassatt] the lightness and grace of the alternative aesthetic, beside which the pompous works of recognized artists seemed all the more laboured, explicit, heavy and lustreless.”[i] Mary was so impressed by the prints she saw and studied that she devoted the year 1891 to making prints, working in drypoint. Having traced her drawing on copper, as is the practice in etchings, she “laid in a soft ground over the part that she wished to colour and applied the colours all at once, by a technique that she called ‘à la poupée’ (doll-like), working with rags tied over little sticks. She and her printer then ran the plates by hand through the press.” (Greer, p. 112). 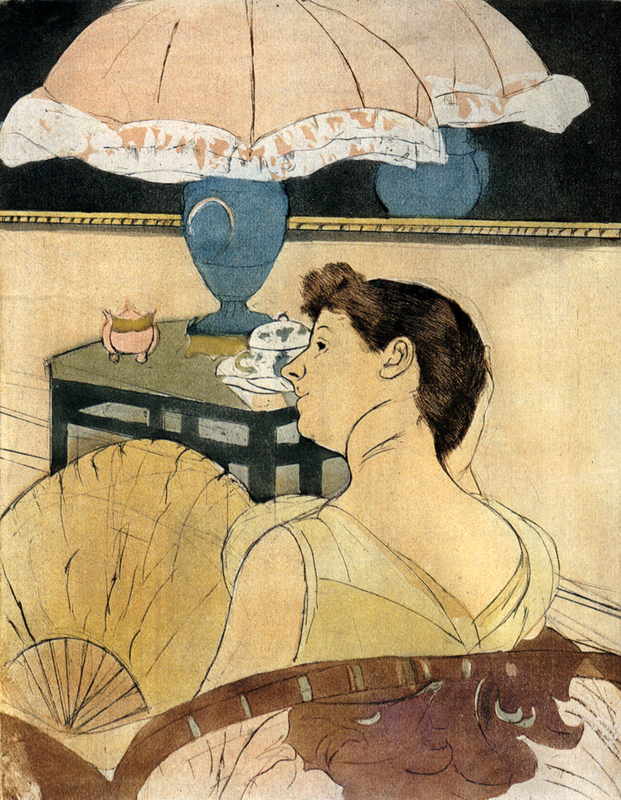 These prints were shown and Mary’s friend Degas was astonished: “I will not admit that a woman will draw so well.” Using the technique she devised, artist Mary Cassatt drew lines and put in a flat colour, in which her art resembles that of Toulouse-Lautrec. Moreover, from the point of view of composition, Mary also used Lautrec’s diagonal lines, albeit discreetly. Grace permeates not only the prints created in 1990-1991, but it also does all of her paintings. For instance, although the work featured at the top of this post is not a print, we can observe readily the influence of Japanese woodblock printing and, more precisely, that of ukiyo-e, “pictures of the floating world,” prints. As is the case with Toulouse-Lautrec’s prints, Mary’s prints are linear and the colour, mainly flat. 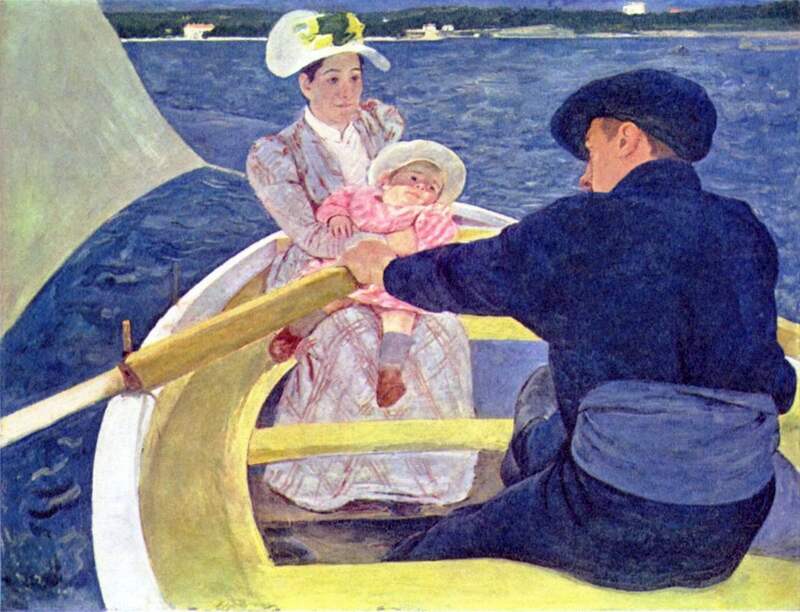 However, to return to the painting featured at the top of this post, the manner in which artist Mary Cassatt depicted the lady’s hair reflects Western art. The lady’s hair is not a flat black, but her hairdo shows Japonism. This Japonism is one of subject matter, our first form of Japonism, but marginally. In nineteenth-century France, women were denied access to the Paris École des Beaux-Arts, not to mention the right to vote, a cause Mary Cassatt would embrace especially in her later years, when cataracts all but blinded her. Therefore, given the exclusion of women from the Paris École des Beaux-Arts, Mary Cassatt studied privately under academicist Jean-Léon Gérôme. Toward the end of 1866, Mary also joined a painting class taught by Charles Chaplin, a noted genre artist. As well, in 1868, Cassatt studied with artist Thomas Couture and showed A Mandoline Player (please click on the title to see the artwork), dated 1872 in Wikipaintings, at the Paris Salon of 1868. Cassatt’s Two Women Throwing Flowers During Carnival was also exhibited and purchased at the Paris Salon of 1872. The above were “realist” works that showed the influence of Gustave Courbet (10 June 1819 – 31 December 1877). However, as of 1877, Cassatt’s work would no longer be accepted by the Paris Salon. At Degas’s request, Mary therefore showed eleven of her works at the Impressionist exhibit of 1879. She then joined the Impressionists in shows that took place in 1880, 1881, and 1886. [ii] Yet, Mary Cassatt’s Japoniste prints and paintings cannot be associated with Impressionism, except by date. 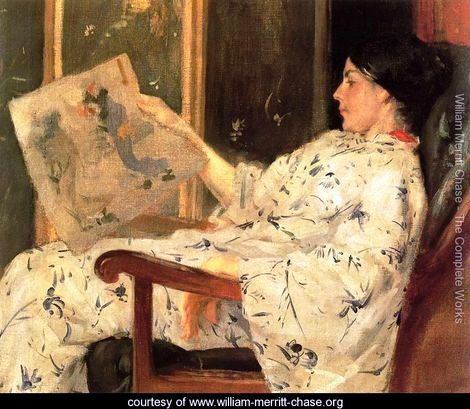 Let us say that Cassatt had a Japoniste period. As mentioned earlier, once she returned to France, via Italy,[iii] in 1874, Cassatt also received guidance from painter, printmaker, and sculptor. Edgar Degas (19 July 1834 – 27 September 1917). Moreover, she was inspired by the art of Camille Pissarro (10 July 1830 – 13 November 1903). Degas and Pissarro were forerunners of Impressionism. As do many apprentices, Mary went to the Louvre on a daily basis and copied the masters. These visits to the Louvre also allowed her to meet other artists. Mary decided not to marry. She felt she could not combine the duties of a wife and mother and the demands of a career as artist. However, as I have noted, her artwork are depictions of the Madonna and Child, particularly as of 1890. So there is femininity and motherliness in her art. Mary Cassatt also painted children and women and did genre work, depictions of domesticity. The Visit (please click on the title to see the artwork) and The Lamp, prints shown above, are examples of her genre painting. So are The Coiffure Study and The Bath. Intimacy pervades Cassatt’s art. This art cannot be associated with Impressionism, except by date. Post-Impressionism, Fauvism (Henri Matisse) and Cubism (Georges Braque, Picasso, etc. ), movements that followed Impressionism, were not to Mary’s liking. Besides, she developed various health problems, including cataracts. She continued to paint despite poor eyesight and, according to Wikipedia, “she took up the cause of women’s suffrage and, in 1915, she showed eighteen works in an exhibition supporting the movement.” She died eleven years later, on 14 June 1926, at Château de Beaufresne. [i] Germaine Greer, The Obstacle Race, The Fortunes of Women Painters and Their Work (New York: Farrar Straus Giroux, 1979), p. 112. [ii] “Mary Cassatt”. Encyclopædia Britannica. Encyclopædia Britannica Online. [iii] She was commissioned by the Archbishop of Pittsburgh to paint two copies of paintings by Correggio in Parma, Italy. WordPress is still making my life difficult. My last post was dated July 12th. I had then written a draft of the post on July 12. However, I did not complete the post until July 15th. I have republished it. In order to read, it is no longer necessary to go back to July 12. It’s a long post; yet it is not really complete. It required at least one more comment on motherhood in Cassatt. I must also point out that Cassatt Japoniste prints cannot be associated, except by date, with Impressionism. These two elements have been included in the post dated 16 July 2013. I am still unable to access my Reader and look at your posts. If necessary, I will beg WordPress’s Happiness Engineer. Allow me to wish you an excellent day. 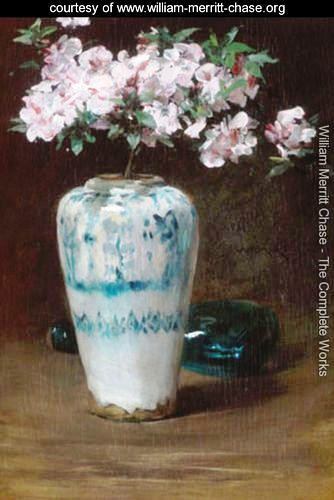 William Merritt Chase was born in Indiana, but after moving to New York, he started travelling abroad and, among other activities, bought art for American clients. In France, he studied painting with Lemuel Wilmarth, (see Athenaeum), a student of Jean-Léon Gérôme (11 May 1824 – 10 January 1904), an academicist, and then enrolled at the Academy of Fine Arts, in Munich, where he was a student of Alexander Von Wagner and Karl von Piloty. As a student in Munich, he befriended Walter Shirlaw, Frank Duveneck, and Joseph Frank Currier, whose artwork, Currier’s, he collected. He travelled to Venice, Italy before returning to the United States in the summer of 1878. On his return to North-America, he showed Ready for the Ride with the newly formed Society of American Artists, of which he would later serve as president. He also opened a studio in New York in the Tenth Street Studio Building, where he moved into Albert Bierstadt‘s former studio which he furnished in a rather “flamboyant” manner. Chase became an almost unrivalled teacher. In 1891, he opened the Shinnecock Hills Summer School. In 1896, he founded the Chase School of Art which became the New York School of Art two years later with Chase staying on as instructor until 1907, but he also taught at the Pennsylvania Academy of Fine Arts. Among his students was famed artist Georgia O’Keefe, Charles Demuth, and Marsden Hartley. In his later years, he travelled to various European countries to give summer classes. Chase married Alice Gerson, his former model, in 1886, and the couple had eight children. His eldest daughters, Dieudonnée and Dorothy, often posed for their father. The family owned a townhouse in New York and another property on Long Island. Chase had a happy family life and died in his New York townhouse. Japanese art spread to several European countries and crossed the Atlantic. 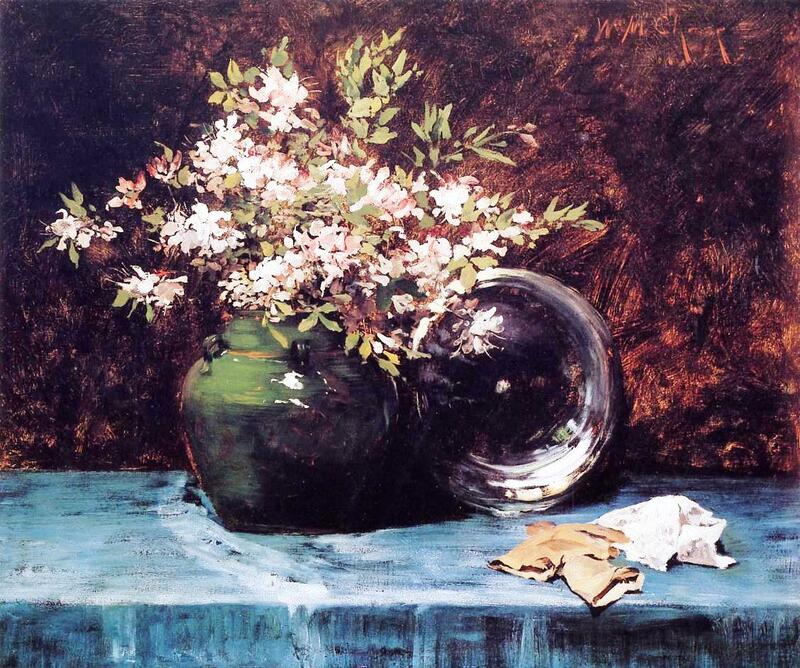 For instance, it had an influence on Americans James Abbott McNeill Whistler, William Merritt Chase, and Mary Cassatt. 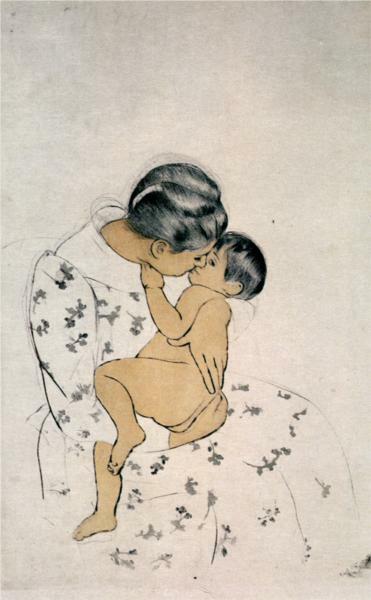 We will look at Japonisme in the art of Mary Cassatt. I believe she is our best example. Moreover, a few comments are needed. Japonisme played a major role in the development of Western art in the second half of the nineteenth century. However, for the time being, I pause. Yesterday, I was too tired to write a blog. I had stayed up to watch the results of the election. As usual, CNN covered the event thoroughly. When Wolf Blitzer referred to President Obama, he called him the President of the United States and he called Mr Romney, Governor Romney. 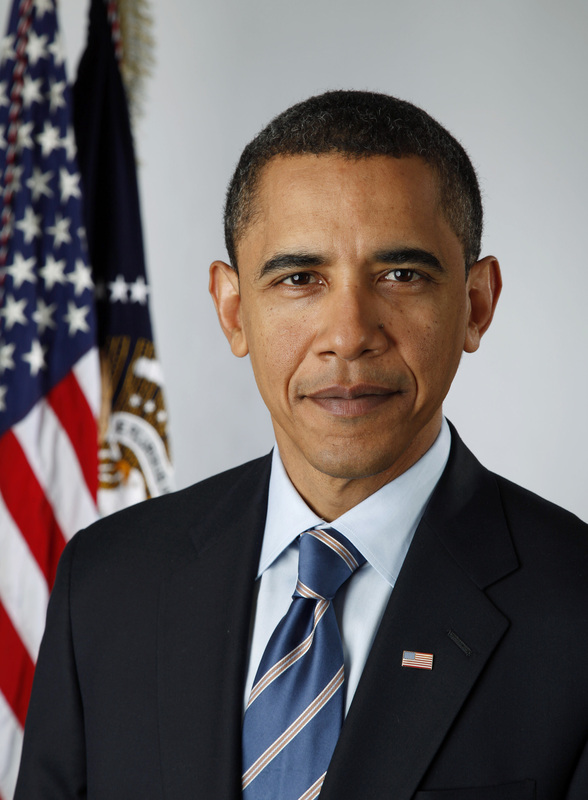 In the end, President Obama remained Barack Obama, President of the United States of America. As for Mr Romney, he was gracious in defeat and he seemed freed of the constraints of extremists in the Republican Party. President Obama spoke with Governor Romney and they may speak again. It is too soon to tell in what capacity Mr Romney could help his country, but discarding talent or humiliating people is not the President’s approach. Remember my little blog on the Five Presidents. But to return to Mr Romney, according to a close friend, he “would be willing to work for Barack Obama.” (The Telegraph, UK). This link may be corrupt as well as links listed under NEWS. I inserted them yesterday, but they may lead to today’s news. 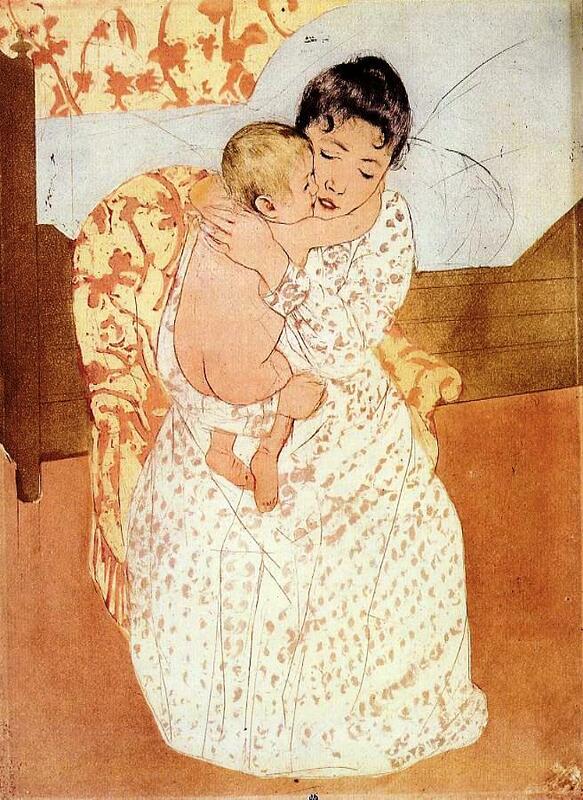 I am featuring Mary Cassatt (May 22, 1844 – June 14, 1926). 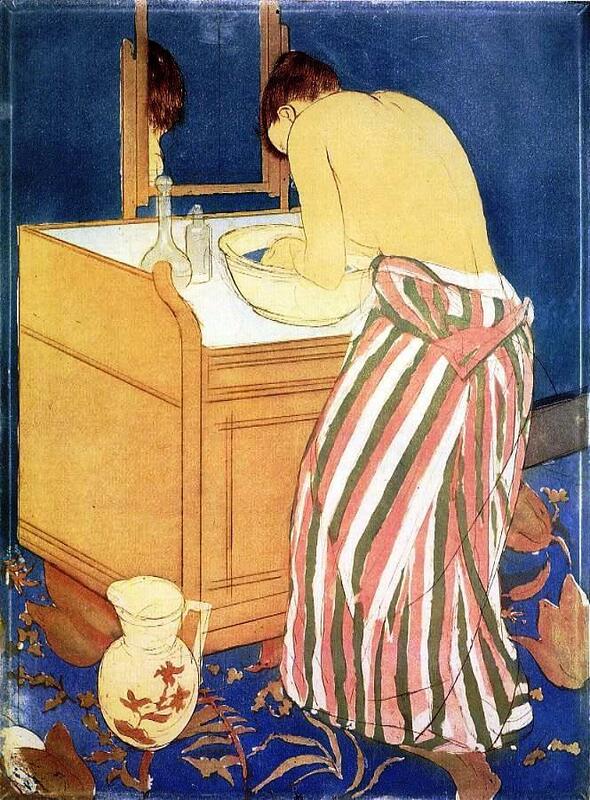 Artist Mary Cassatt was born in the United States, but lived in France for most of her adult life. She ended up befriending Edgar Degas, joined the Impressionists, and was influenced by Japonisme. Mary Cassatt did not marry. She felt she could not be a wife, a mother, and an artist. However she painted women, especially women as mothers and she made lovely portraits of children. Being a woman proved an obstacle to Mary Cassatt’s career. She could not enter schools such as France’s École des Beaux-Arts, in Paris. However, the Impressionists opened a few doors for her and her art remains. She has left a precious legacy. In 1894, Mary Cassatt was described by Gustave Geffroy [i] as one of “les trois grandes dames” of Impressionism alongside Marie Bracquemond and Berthe Morisot. Women called “grande dame” are very rare. This list was compiled yesterday, before I realized I had exceeded my limits and had to sleep. I suspect these links will probably take you to today’s news.